BizSmart Challenge 2018, presented by Alliance Bank Malaysia Berhad and Eco World Development Group Bhd, is a business reality TV programme. This SME business programme aims to help and nurture young Malaysian companies to grow as sustainable businesses. Applications will close this Thursday, 31 May 2018. 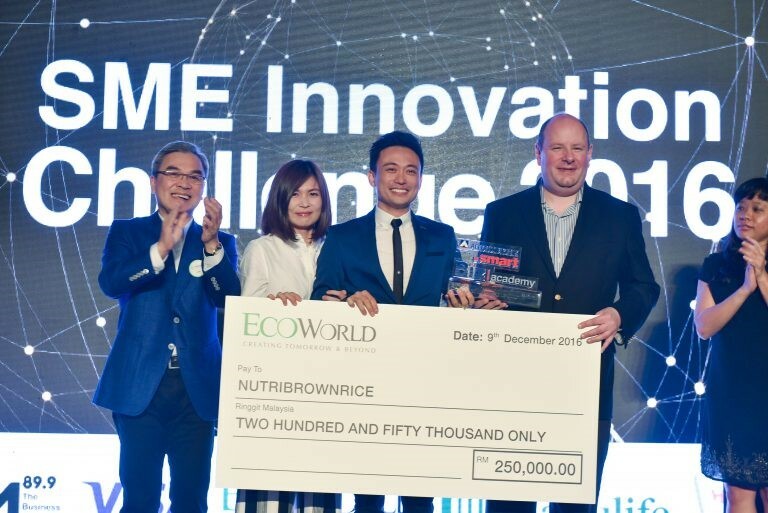 The SME business programme that has helped local brand names such as Christy Ng Shoes, Twenty3, Biji-Biji Initiative, and NutriBrownRice grow their businesses, returns for the fifth time. Alliance Bank Malaysia Berhad, in partnership with Eco World Development Group Berhad, recently launched the BizSmart Challenge 2018, a business programme that provides realistic business challenges designed to equip young Malaysian entrepreneurs with the necessary knowledge and skills so they can stay in business for the long-term. Over the past years, the programme has seen tremendous success, lending support and guidance to the local startup and SME scene. More than 110 high potential alumni have achieved varying degrees of success through the media exposure, training, mentorship, and networking the challenge provided them. 1) Cash and media prizes worth RM 1 million up for grabs. Finalists are also eligible to apply for uncollaterised financing from Alliance Bank. As with previous years, the BizSmart Challenge winners get to compete for a chance to win a pool of cash and media prizes worth RM1 million. In addition to that, all 20 finalists of the Challenge will be offered the chance to apply for financial assistance in the form of non-collaterised loans of up to a total of RM5 million from Alliance Bank. This marks the first time that the Challenge is offering this form of financing to finalists to accelerate their business growth. The grand prize winner will walk away with RM250,000, while the first and second runner-ups will receive RM200,000 and RM150,000 respectively. Selected winners also get a chance at two more RM100,000 cash prizes from Manulife Insurance and Visa Malaysia respectively, as well as a media coverage package worth RM200,000 from Astro Malaysia. Media coverage and publicity is not cheap. We understand the struggles entrepreneurs face when trying to market their brands. This is why the BizSmart Challenge offers companies more ways to reach a larger audience and increase the reach for their business. In an exciting new twist to the programme this year, the BizSmart Challenge will be aired in the form of a reality TV business programme on Astro Awani and AXN. From the submission received, 20 finalists will be shortlisted to undergo business training before the selection of the top 12 to participate in the BizSmart Challenge reality TV programme. During the taping of the reality show, participants will go through a series of business challenges, guided by mentors such as Christy Ng, Bryan Loo, and Azran Osman-Rani. The esteemed panel of judges will provide sound and frank advice to the participants. 3) Personally learn from industry leaders. Building your network with various industry leaders can take a bit of time, but being in this programme could speed up the process. With a prominent panel of judges and mentors on board ready to share their expertise, finalists can make use of this prime opportunity to learn from the best. The judges for this year’s BizSmart Challenge are Mr Joel Kornreich, Group CEO of Alliance Bank, Tan Sri Dato’ Sri Liew Kee Sin, Chairman of EcoWorld, and En Malek Ali, Managing Director and Founder of BFM 89.9. Some alumni will also be sharing how they got started, how they have successfully expanded, and their business performance post-programme with the participants. 4) Undergo structured business coaching to grow your business. Part of the programme involves getting through business challenges. To prepare for this, finalists will undergo structured business coaching which covers topics on marketing, presentation skills, and talent management. There will also be mentoring sessions. Mentors will be on hand to advise the finalists, drawing from their own entrepreneurial experience of successfully growing and establishing their brands and businesses. “Most companies tend to shy away from young businesses in their early years as they are perceived as ‘high risk’. We, however, wanted to play a more meaningful role. 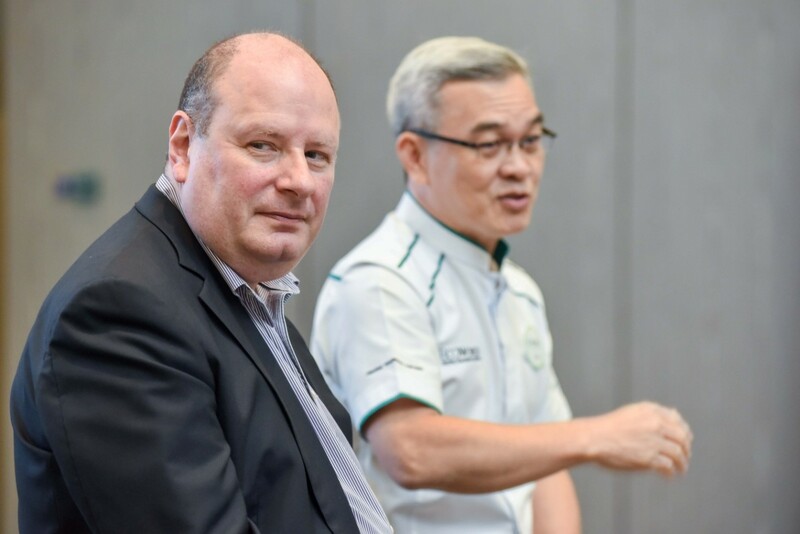 Our bank has always been committed to helping Malaysian SMEs grow and develop to their full potential,” said Alliance Bank Group CEO, Mr Joel Kornreich. Applications are open until 31 May 2018. If you are an ambitious, young SME that have been in operation between 18 months and 5 years, send in your entry today for a chance to elevate your business to the next level. Click here to send in your application form or here to check out BizSmart Challenge website for more information. This article was written in collaboration with Alliance Bank.